We offer a professional, clinical interactive correspondence aromatherapy certification course. The course is 600 hours in length and covers 85 essential oils. Recognized by the AIA,CFA and BCAOA. Ravensara Oil is often confused with Ravintsara Oil. Although the source for both oils is often Madagascar and their common names are quite similar, Ravensara and Ravintsara are both very different essential oils. This profile pertains to oil steam distilled from the leaves of Ravensara aromatica. See the Safety Info section for recommendations regarding avoidance of oil distilled from the bark. Not a lot of accurate information is documented in print about Ravensara Leaf Oil. For a period of time,some information regarding Ravintsara was attributed to Ravensara. 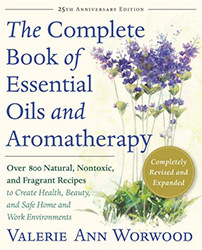 For further details regarding the background and uses of Ravensara from a reliable source, see the Complete Aromatherapy & Essential Oils Handbook for Everyday Wellness by Neryls Purchon and Lora Cantele. This profile pertains to the leaf oil. For most applications, oil distilled from the bark should be avoided due to the significant ratio of Estragole (Methyl Chavicol) content. Slightly medicinal, eucalyptus-like, slightly sweet with a fruity hint. Dr. Jane Buckle reports interesting findings regarding use of Ravensara for insomnia. Source: Jane Buckle, PhD, RN, Clinical Aromatherapy: Essential Oils in Healthcare (Third Edition. United Kingdom: Churchill Livingstone Elsevier, 2015), 176-77, 242. Source: O. Behra, C. Rakotoarison, R. Harris. Ravintsara vs. Ravensara, a Taxonomic Classification. (The International Journal of Aromatherapy 11, 2001), 4-7. Source cited in Robert Tisserand and Rodney Young, Essential Oil Safety (Second Edition. United Kingdom: Churchill Livingstone Elsevier, 2014), 403.